Rolly Kidder, a PBR sailor, has just published a marvelous book in which he revisits Vietnam and then interviews the families of three friends who were lost in Vietnam in 1969. The three include a Chief Petty Officer from River Division 535, Eldon Tozer, an Army Captain, Robert Olson and a Lieutenant (j.g.) from River Assault Division 132, Jim Rost. 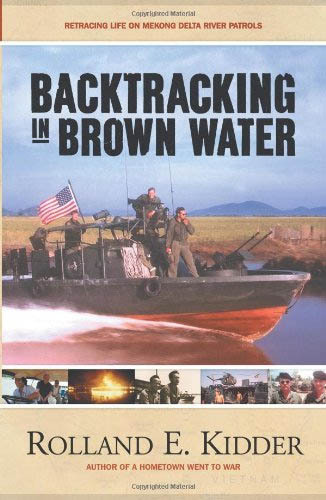 This book is a must read for anybody who was on the rivers in any capacity or who wants to know more about what we really did. is available at: Amazon.com in hardcover, paperback and ebook editions.